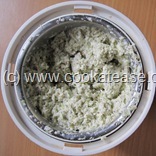 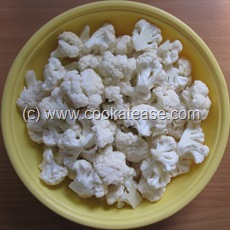 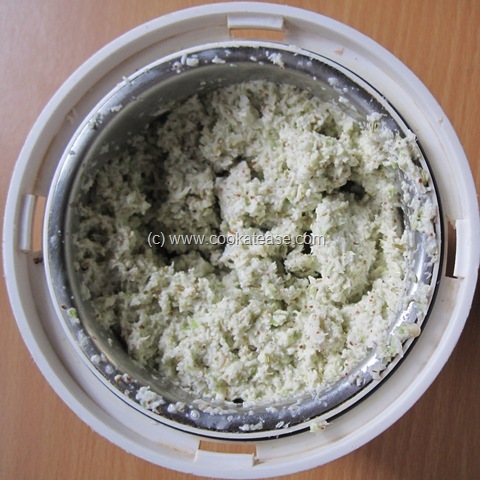 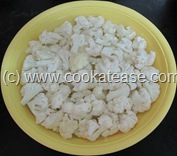 Soak chopped cauliflower in salt added warm water for 5 to 10 minutes then drain and keep; wet grind items given, to a coarse paste. Chop potato, onion and pound cinnamon, clove coarsely. 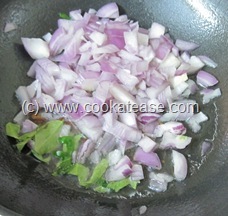 Heat a pan and do seasoning with cinnamon-clove coarse powder and curry leaves; add chopped onions. 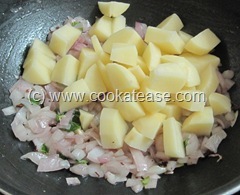 Fry till onion turns semi transparent; add chopped potatoes. 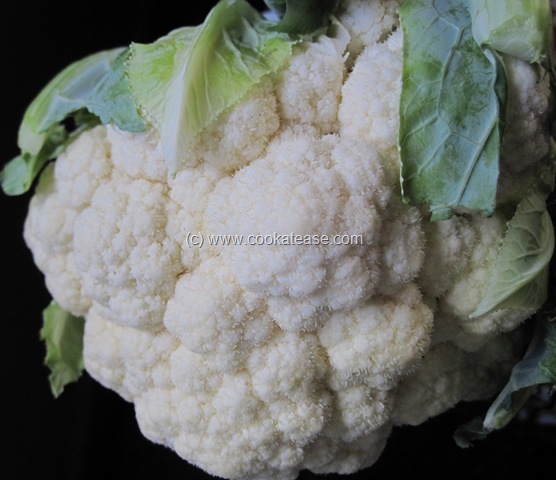 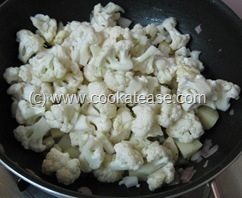 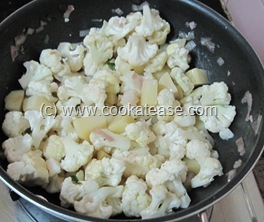 Fry for few minutes and then add cauliflower. 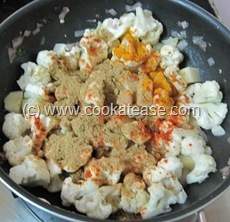 Mix well and add turmeric powder, red chilli powder and coriander powder. 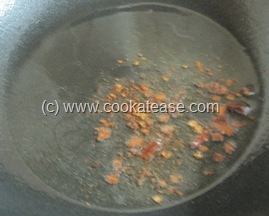 Stir for few seconds; add half cup of water. 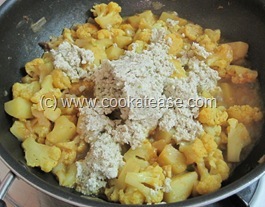 Cover and cook till potato and cauliflower are soft; now add the ground paste and mix. Cook for few more minutes till all the spices blend together. 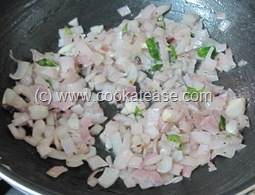 Remove, garnish with coriander leaves. 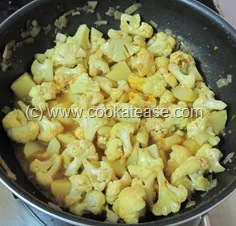 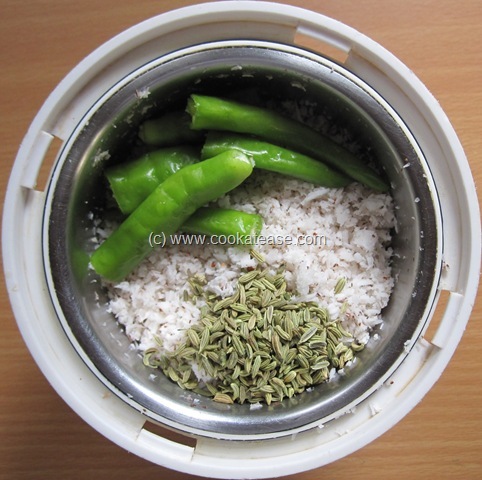 Serve hot with rice/roti/poori etc. 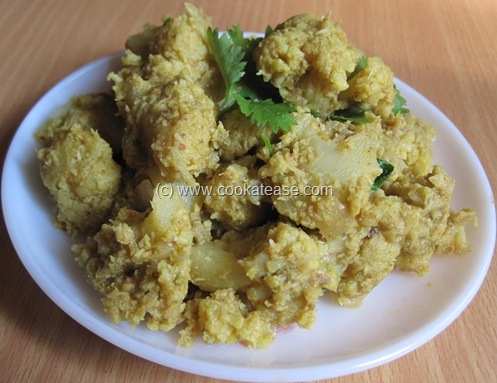 A very delicious and different way to cook aloo gobhi.will love to try this soon.. 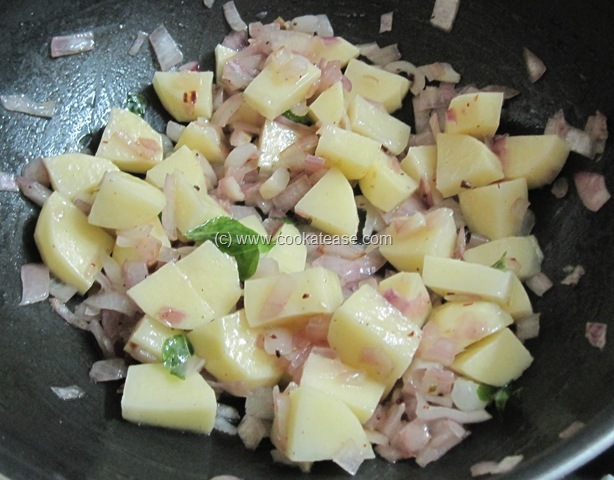 I made supported dishes using potato and calif lower i never try rhis two combination but now i will try when i ever i saw this one very colorful looking. 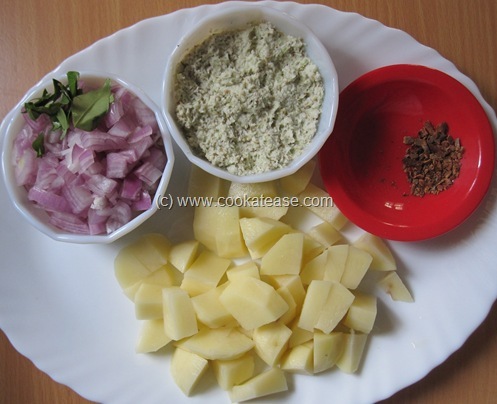 this is my first visit to your page mam. 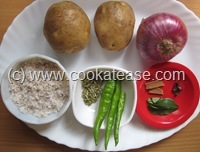 its very nice to see your step by step procedure for cooking the recipes. 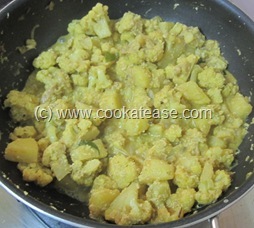 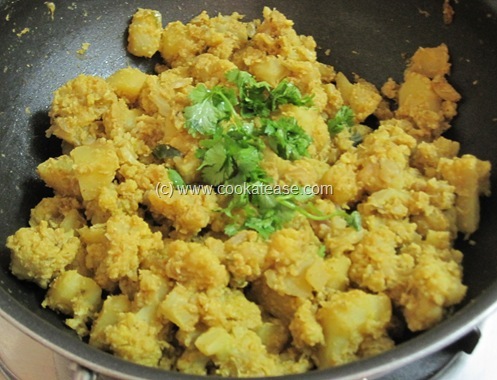 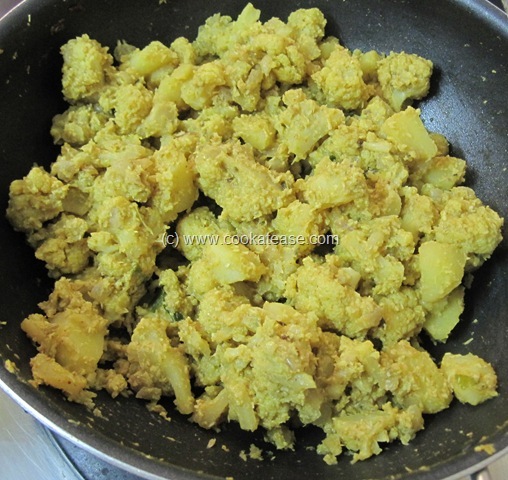 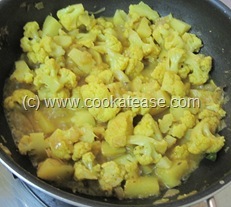 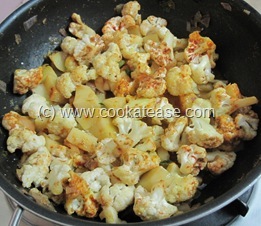 today i am going to try this aloo gobi fry…..
and easy method of cooking style. 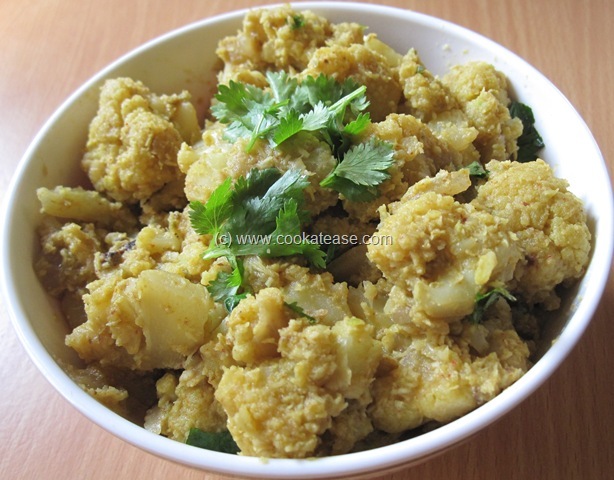 today i am going to try this aloo gobi fry.